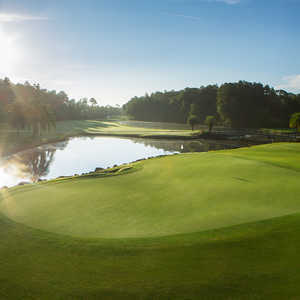 LAKE BUENA VISTA, Fla. -- So which of the golf courses at Walt Disney World Resort is the best? 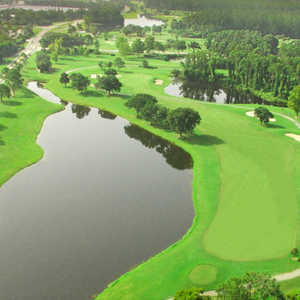 The Palm Golf Course at Disney World, a Joe Lee design. "You could ask 10 people and get a different answer from most of them," says Sean Clarson, a Disney assistant golf operations manager who has worked at all of the resort's courses. "It just depends what kind of golf you like to play." Disney's Palm Golf Course gets more than its share of votes. The course that plays second fiddle to the Magnolia Course, for the Children's Miracle Network Classic still rates no. 1 with many people. "The Palm Golf Course is a very good course," Clarson says. "People really like it because it's fun. 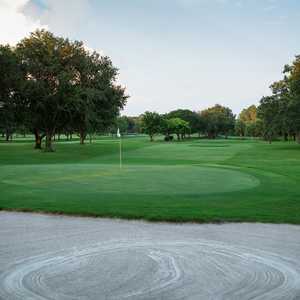 They don't score as well as they do at the Magnolia or Lake Buena Vista. The Palm is a shot-maker's course. You can get into a lot of trouble." Both the Palm and Magnolia were designed by Joe Lee and opened in 1971. The Palm is much shorter than its sister course (7,011 yards compared to 7,516), so the pros tend to shoot two or three strokes better on average when playing it. Justin Rose humbled the layout with a blistering 12-under-par 60 in the first round of the 2006 FUNAI Classic, breaking the record of 61 held by Mark Lye (1984) and Carl Pettersson (2005). The secret to unleashing the Palm's low scores for the rest of us amateurs is course management. There are plenty of places when throttling back is the more prudent play. Pay careful attention to the GPS to avoid the 94 bunkers and water in play on nine different holes. Keeping the driver in the bag on the severe dogleg 14th hole, a 358-yard par 4, and several of the par 5s would be wise. The dense forest that lines much of the course tends to creep into play on doglegs, forcing players to maintain the proper angles into the greens or pay the price. The par 4s at no. 6 and no. 18, the two highest handicap holes, offer this similarity: Intimidating approach shots over water to the green. Water runs the entire left side of the 411-yard sixth fairway before crossing in front of a propped-up green. The water is even more formidable on the 458-yard 18th, considering the hole is nearly 50 yards longer. This hole has rated among the 10 toughest holes on the entire PGA Tour four times since 1986. The seventh is the most unnerving of the par 5s. The pros feast on this 547-yard tester, but amateurs tend to quiver at the sight of all that water. The tee shot must stay up the left side to avoid the water on the right. A massive lake guarding the green also dissects the fairway farther along, forcing you to lay up to a narrow ribbon of land on the other side. Big hitters might be tempted to carry the whole thing to the green, but only a few outside the PGA Tour actually tend to pull it off. It's a great risk-reward shot on a layout full of them.